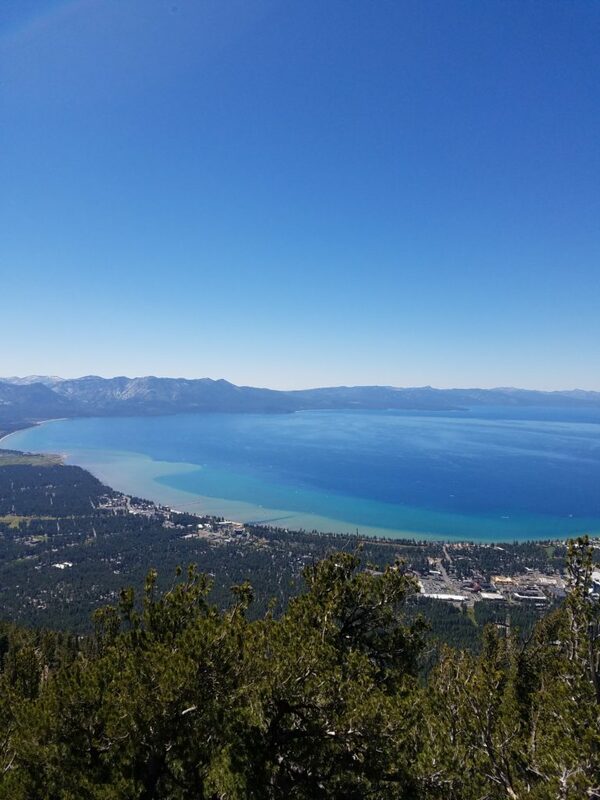 What is there to do in South Lake Tahoe, California? So much more than I ever imagined. I really didn’t know what to expect, but I was pleasantly surprised and I highly recommend visiting this gem. Visit the Lake – I’ve read, been told and heard that the only place that the water is prettier is Tahiti. It is such a beautiful body of water. You can get a bird’s eye view of this beautiful lake by riding the gondola. You can have fun on the lake by renting a boat, a paddle board, or lie on the beach and enjoy taking in the sun. The weather in Lake Tahoe is beautiful. I can definitely understand why people love living here. Take the Gondola – It is a little pricey but well worth it. We were glad we did this. 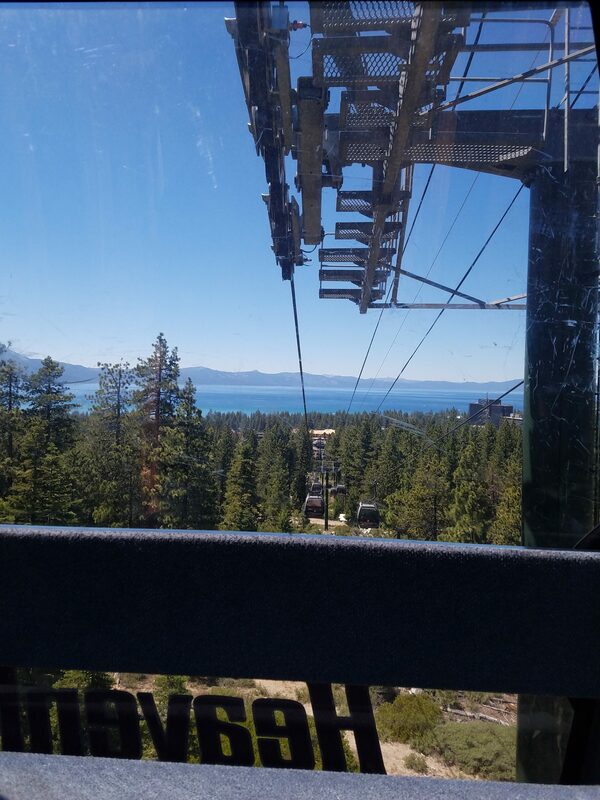 You take the gondola up to a beautiful Observation Deck to view Lake Tahoe. The view is amazing and you can get some great photos. You then can take a ski lift up to a higher view, which is pretty cool too. The view is amazing at 9,510 feet. Visit Heavenly Ski Resort – Riding the gondola isn’t the only thing to do on Heavenly Ski Resort. There is much much more. It is fun for couples and families. There is a lot to do: Trails, Zip Lines, rock walls to climb, and more. If you want to do all these things you can either buy a gondola pass or an all day activity pass. I am recommending this spot to all families who enjoy outdoor activities. If you like to gamble, there are some great casinos in South Lake Tahoe. If you stay during the week, you can get some great rates at the Casino hotels. Most of these hotels have fun things for kids as well. They have large arcades and great swimming pools. When I went to the area, there was a huge outdoor venue, concert area behind Harvey’s Casino. Great acts play here all the time. James Taylor, Sting, and Peter Gabriel were playing in the same week that I was there. I will definitely plan another trip to this area, and going to one of the outdoor concerts is on my Bucket List. There are also free concerts all summer long around the lake. These are fun family events. 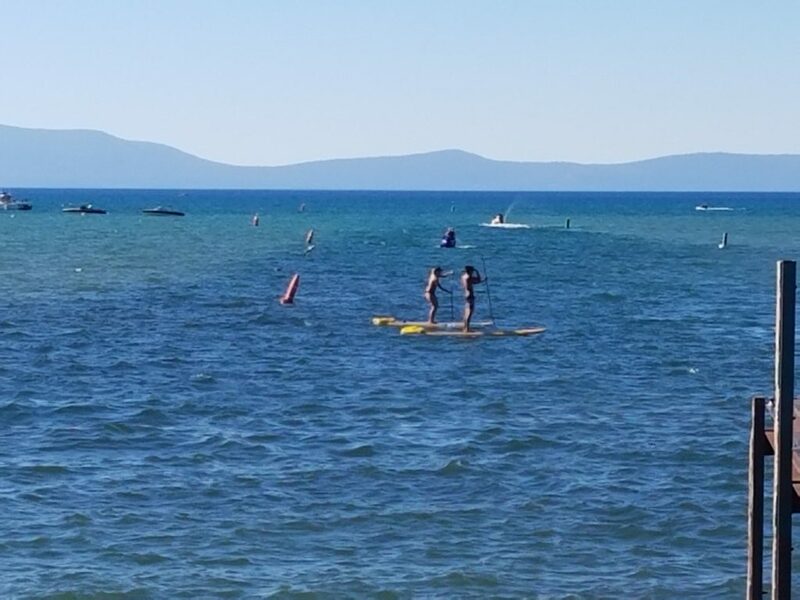 There are a lot of fun things to do in Lake Tahoe. It is a beautiful area for all: couples, families, kids, photographers, adventure seekers, and more. I highly recommend visiting Lake Tahoe and enjoying all it has to offer.